TVIPS’s newly developed Motorized Beamstop device contains an ultra-highly sensitive Faraday cup which enables the measurement of electron beam current, even at femto ampere level. Its piezo drives ensure precise positioning of Faraday cup on a sub-microns level without any hysteresis effect. The Beamstop is positioned just a few millimeters above the scintillator, covering a smaller camera-chip area compared to conventional beamstops. 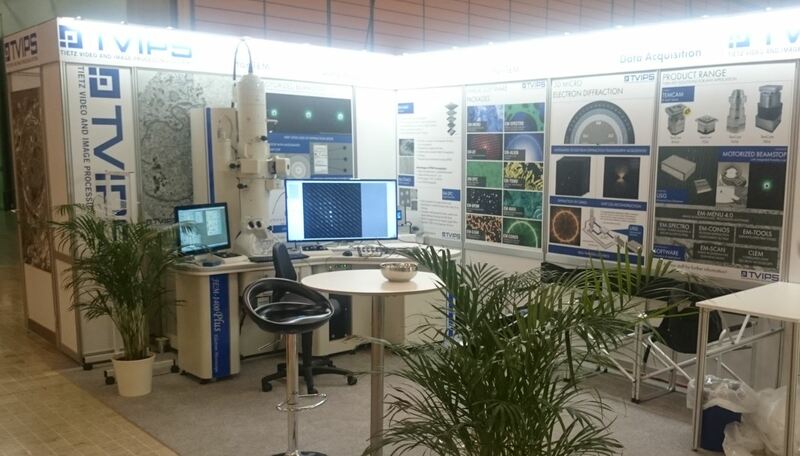 In addition, the solid angle of scattered electrons can be reduced – generating a sharp beamstop image on the chip and at the same time lowering the contribution of scattered electrons on the real specimen image. 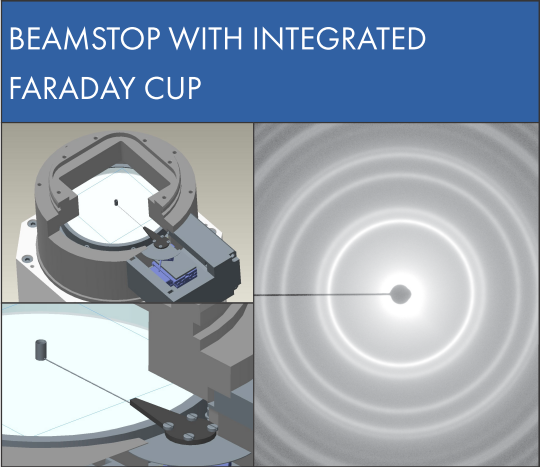 The user friendly GUI enables to define different positions for the Faraday cup to measure intensity of different reflexes in diffraction mode. Due to its 24-bit electronic design the specimen thickness can be precisely calculated.